So much fluffing and buffing goes on behind the scenes at dog shows. And all for what? A few minutes in the spotlight in front of the judges? Perhaps. A six-figure cash prize? Not likely, since competitions like the Westminster Kennel Club Dog Show generally award trophies rather than cash. As it turns out, many competitors are solely in it for the love of their particular breed. The first organized dog show purportedly took place in England in 1859, as an offshoot of an existing poultry show. Only two classes of dogs, pointers and setters, competed, with the first prize awards going to owners who just happened to be the dog show judges. Since that time, American dog shows have expanded to include all breeds recognized by the American Kennel Club (AKC). Needless to say, the judging has become fairer. Most dog shows are classified as conformation shows, in which dogs aren’t judged against each other but by how well each one conforms to the breed standard, or the ideal attributes, generally developed by the national club for each breed. Only purebred dogs who have not been spayed or neutered are eligible because the point of confirmation is to ensure these dogs represent breeding stock who are more likely to produce pups that meet the standard. The handlers, who may be the owners, breeders or hired professionals, help the dogs “strut their stuff” in front of the judges, who evaluate the dogs for everything from body proportion and ear position to dental bite, coat texture and attitude. The judges, in turn, distribute points toward championship status. If you’re interested in getting into the competitive show dog ring, it helps to have genetics on your side from the start. Puppies with the right pedigree, appearance and attitude can cost $2,500 to $5,000 or more. From the beginning, you’ll want to socialize your pup to make sure it can keep its cool when traveling, being groomed, meeting new people and dogs. The competing canine should also be comfortable around crowds and loud noises, know basic obedience commands and be at ease with unfamiliar judges running their hands over every part of the dog’s body. You’ll require a little training, too, so you know how to properly “exhibit” the dog in the ring, including “stacking,” or positioning the dog in the correct stance. Or you can hire a professional handler for $100 to $1,000 per show, depending on experience. Most dogs start in specialty shows that are limited to a specific breed. The males and females compete separately, then advance to group shows. In these competitions, breeds are generally combined into groups based on the “jobs” the breeds were meant to perform, including sporting, herding, working, non-sporting, hounds, terriers and toy dog groups. Winners who become champions of record will advanced to an all-breed show, such as Westminster. The oldest American dog show, Westminster has held its competition in Madison Square Garden in New York City every year since 1877. 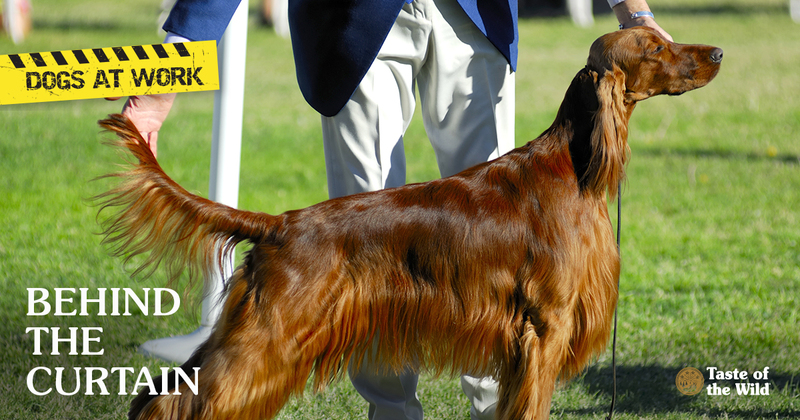 The show is so popular, it limits entries to 2,500 qualified dogs, and those slots are usually filled in a single day. While traditional dog shows only accept purebred dogs, England’s Kennel Club created a competition just for mixed-breed dogs. It’s called Scruffts, a takeoff on their more conventional dog show, Crufts. Last year’s show attracted more than 1,200 crossbred dogs, and winners earned prize titles that ranged from Most Handsome and Golden Oldie to Child’s Best Friend and Best Crossbreed Rescue. So, every dog can be a winner.